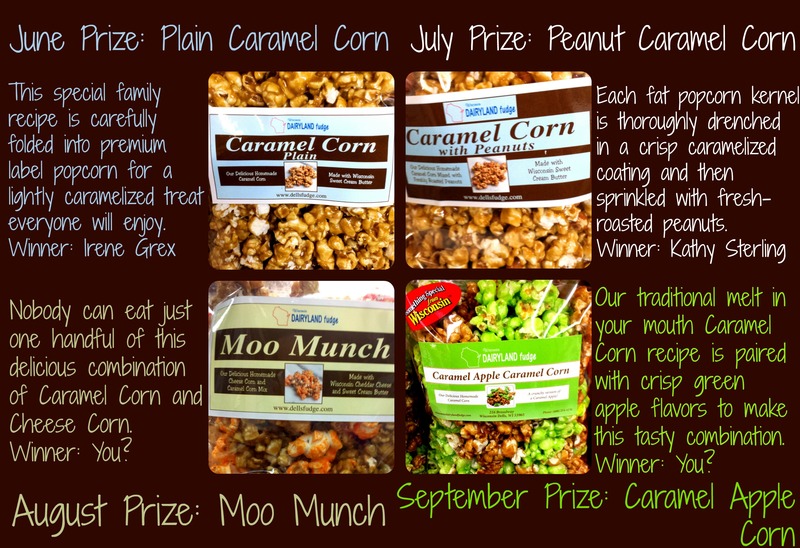 “Like” Wisconsin Dairyland Fudge on facebook for a chance to WIN mouthwatering monthly giveaways through September! There’s still time to enter! All you have to do is CLICK HERE (or visit http://www.facebook.com/WisconsinDairylandFudge) and hit that Like button. That’s it! Winners will be randomly selected, and notified via facebook, on the last day of each month.